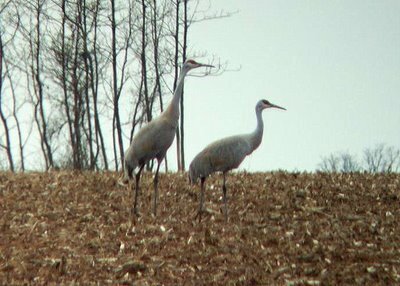 I have been seeing the same two sandhill cranes in Franklin twp over the last 3 weeks and I finally got a picture. 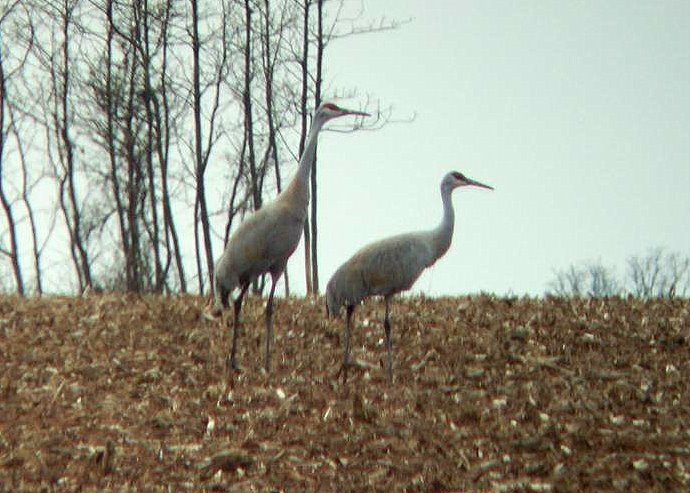 They were pretty far away and I took the picture with my digital camera through my binoculars. A rare sight for New Jersey.